Ian Mosby is an award winning author and historian of food, Indigenous health and the politics of settler colonialism. 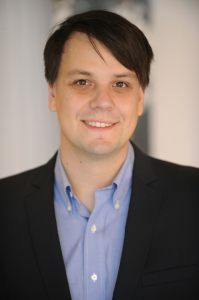 He has a PhD in History from York University and his current research explores the history of human biomedical experimentation on Indigenous peoples during the second half of the twentieth century. He’s published widely on topics ranging from the history of monosodium glutamate (MSG) and anti-Chinese racism to the long-term health impacts of hunger and malnutrition in residential schools. His research has made national headlines on a number of occasions and, in August 2016, he was named one of the 53 most influential people in Canadian food by the Globe and Mail. Ian’s first book, Food Will Win the War: The Politics, Culture and Science of Food on Canada’s Home Front was published by UBC Press in 2014. Food Will Win the War was awarded the 2015 Political History Book Prize by the Canadian Historical Association and, in 2016, was shortlisted for a Canada Prize in the Humanities by the Federation for the Humanities and Social Sciences. If you want to get in touch, you can email Ian at ian.mosby (at) gmail.com. (with Catherine Carstairs) “Federal Policies Undermine Indigenous Dental Health,” Policy Options, 5 October 2018. “Anti-Know-Nothings and Great Unknowns: The bittersweet lure of culinary nostalgia,” Literary Review of Canada 25, 9 (December 2017), 25-27. (with Aylan Couchie) “Anti-seal hunt rhetoric ignores facts and suppresses Indigenous culture,” Globe and Mail, 12 October 2017. (with Tracey Galloway) “‘Hunger was never absent’: How residential school diets shaped current patterns of diabetes among Indigenous peoples in Canada,” Canadian Medical Association Journal 189, 32 (14 August 2017), E1043-E1045. (with Tracey Galloway) “‘The abiding condition was hunger’: Assessing the Long-term Biological and Health Effects of Malnutrition and Hunger in Canada’s Residential Schools,” British Journal of Canadian Studies: Special Issue on Health and Residential Schools 30, 2 (September 2017), 147-162. “Canada 150 and the Truth About Reconciliation,” Canadian Centre for Policy Alternatives Monitor 23, 7 (May/June 2017), 43-5. “We are what we ate: Canada’s history in cuisines,” Globe and Mail, 13 March 2017. “Clearing the Plains and Changing the National Conversation: James Daschuk’s Clearing the Plains as a Work of Popular and Public History,” Journal of the Canadian Historical Association 26, 2 (2016), 53-59. “Eat your primary sources! Researching and teaching the taste of history,” in Jocelyn Thorpe, Stephanie Rutherford & L. Anders Sandberg, eds. Methodological Challenges in Nature-Culture and Environmental History Research (New York: Routledge, 2016), 164-170. Guest Editor (with Catherine Carstairs), “Foodscapes of Plenty and Want: Historical Perspectives on Food, Health and the Environment in Canada,” Special Issue of The Canadian Bulletin of Medical History/Bulletin canadien d’histoire de la médecine, 32, 2 (Fall 2015). “Victory Gardening,” in The Canadian Encyclopedia. Historica Canada, 22 Sept. 2015. “The Forgotten Parts of Food Culture: Unpaid Labour and Drudgery,” 49th Shelf, 10 July 2015. (with Crystal Fraser) “Setting Canadian History Right? : A Response to Ken Coates’ ‘Second Thoughts about Residential Schools’” ActiveHistory.ca, 7 April 2015. “Making and Breaking Canada’s Food Rules: Science, the State, and the Government of Nutrition, 1942-1949,” in F. Iacovetta, M. Epp and V. Korinek, eds., Edible Histories, Cultural Politics: Towards a Canadian Food History (Toronto: UTP, 2012), 409-432. “History in Grease Stains and Pencil Marks,” The Globe and Mail, 29 September 2012, F7. “Food on the Home Front During the Second World War,” in Jonathan Vance and Graham Broad, eds., WartimeCanada.ca: A window into the Canadian experience during the world wars. “Ethnic Food Fears and the Spread of the Chinese Restaurant Syndrome in Canada, 1968-80,” Culinary Chronicles: The Newsletter of the Culinary Historians of Canada, No. 62 (Spring 2012), 2-4.